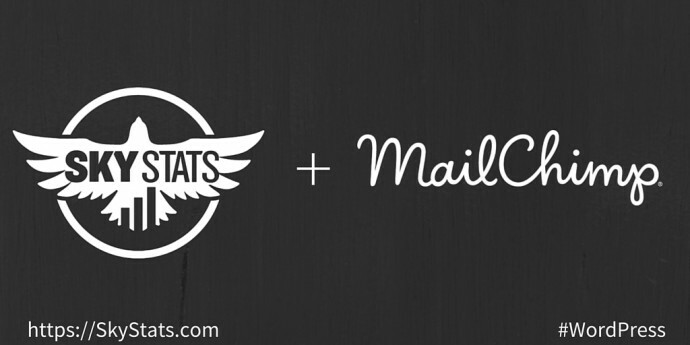 SkyStats' MailChimp integration is now live. Check it out! The MailChimp integration for SkyStats is now live! The consistently high ROI of email marketing helps it carry on as one of the most popular digital marketing methods for businesses. MailChimp is one of the leading email marketing tools and is used by millions of individuals and companies for launching and tracking email campaigns. Packaging all the essential MailChimp data into a powerful email marketing integration for SkyStats was the obvious choice for our latest project and we’re very excited with the result! The ability to sync your MailChimp campaign data with just one click. Allows you to easily plot Opens and Clicks for a specific date range. Start Using the MailChimp Dashboard Integration Now! Email marketing can deliver significant results for your business and we know you’ll value viewing email campaign data directly from your website with the MailChimp integration. We are looking forward to hearing your feedback as you try the MailChimp integration out on your site’s SkyStats dashboard!